← Lost for words. No happy endings. 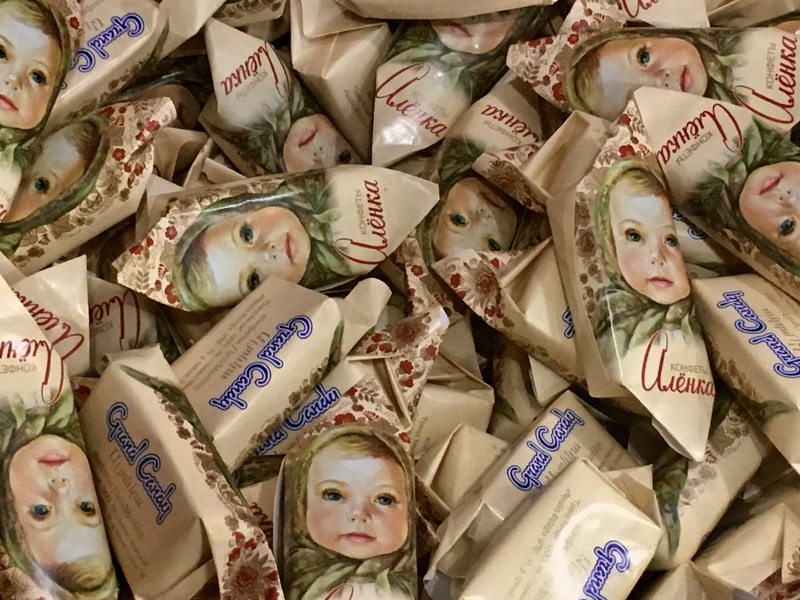 Grand Candy is perhaps the greatest secret Armenia keeps from the world. 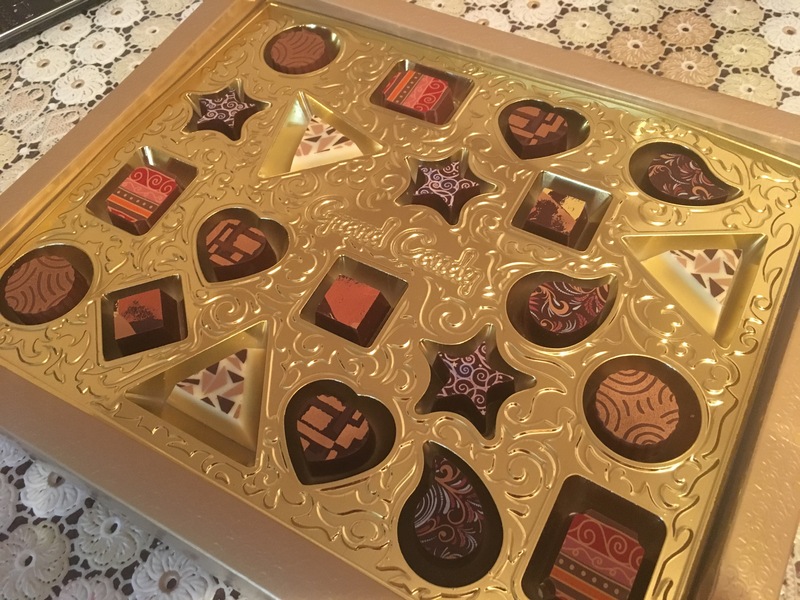 The company, makers of wrapped, loose candy, boxes of chocolates, gallons of ice cream and mounds of pastries–have been keeping Armenian consumers sweet since 2000 and now have 40% per cent of the confectionery market here. Sure, you can buy the products of Nestle, Mars and Ferrero Rocher in Armenia, but you wouldn’t, you really wouldn’t. Not when there is a Grand Candy dark chocolate kiwi creme on offer. This loglike candy is emerald green jelly on the inside and wrapped in green and purple paper. I would post a picture but I greedily ate all that I could find, and then had to surreptitiously dispose of the mound of crumpled wrappers. 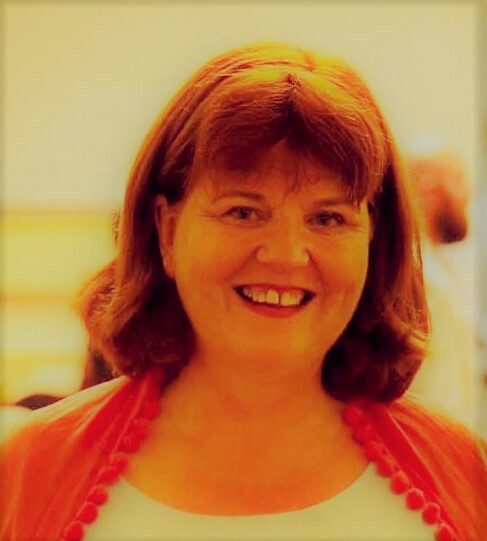 Trust me, the kiwi creme is the one to dig for when the confett bowl is produced, which it is when coffee is served, when people come round (which they do often), and when people need cheering up. Grand Candy has more than 400 lines of candy, but, after comprehensive sampling and testing, I feel confident that the chocolate kiwi creme is the very best. 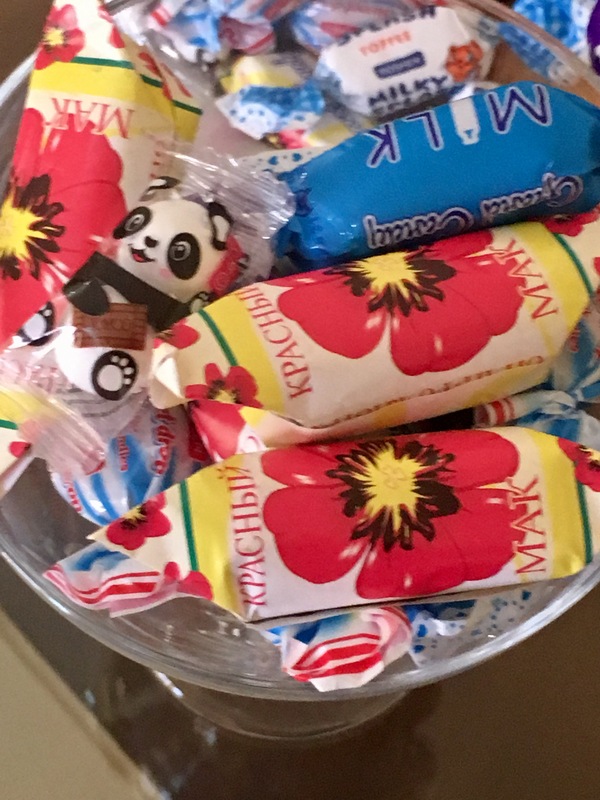 Shopping at an Armenian supermarket, one of the thrills is inspecting the rows and rows of Grand Candy bins, selecting the sugary delights that will fill your family’s candy bowl– the center piece of any Armenian coffee table– for the coming week. 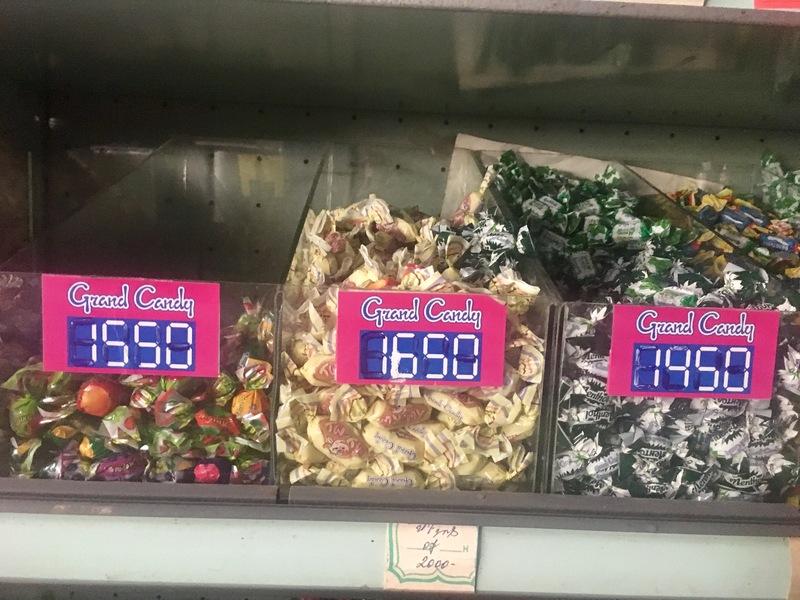 Confusingly, all the confectionery lines are slightly different prices. This means each variety has to go in its own separate bag. There is no point in having just two or three pieces of caramel or nougat or truffle in its own bag and so of course you end up buying a pound or two of everything you like. At Easter we lumbered home from a shopping trip with Grand Candy by the sackful. In Yerevan, there is a Grand Candy megastore and a Grand Candy restaurant. It is possible to do a tour of the Grand Candy factory and I will get there soon. The sites are easy to find, for their glass is colored in boiled sweet colors– yellow, purple and green. They advertise extensively on TV, making me long for something sweet during the very few moments when I am not already eating something they produce. Cheery Grand Candy vans decorated in sugar pink and white are seen in every village, replenishing shop supplies. Grand Candy pride themselves on their ability to package candy to match the season or a current trend–Christmas, a film release or smiley faces. 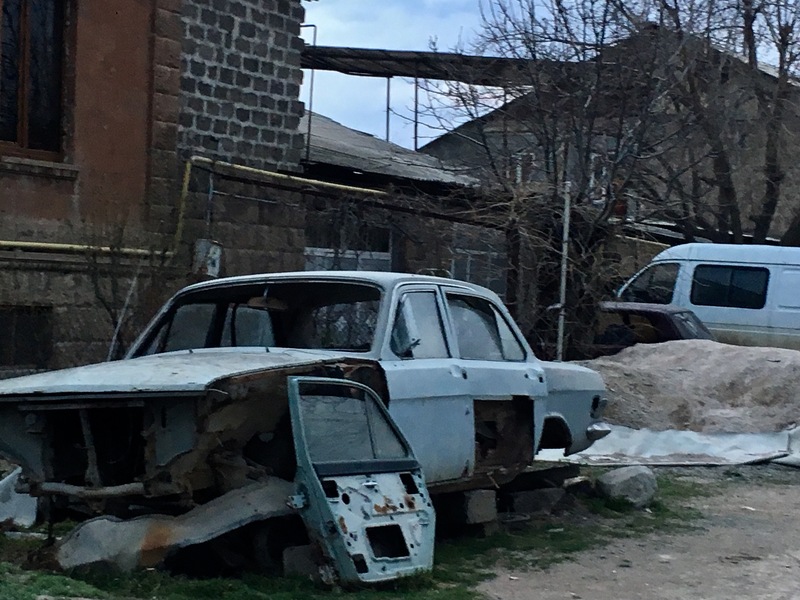 The fact that they have their own printing equipment and graphic design flair has given me an excellent idea I am happy to share with their marketing team: On every corner of every street in rural Armenia there rusts an abandoned car. These eyesores would provide great frames for giant candy wrappers. If Grand Candy were to wrap every abandoned car in the country in colored cellophane it would vastly improve the look of villages, turning each hamlet into Candy land. People would be happy. Sales would rocket. Do it Grand Candy. Do it. 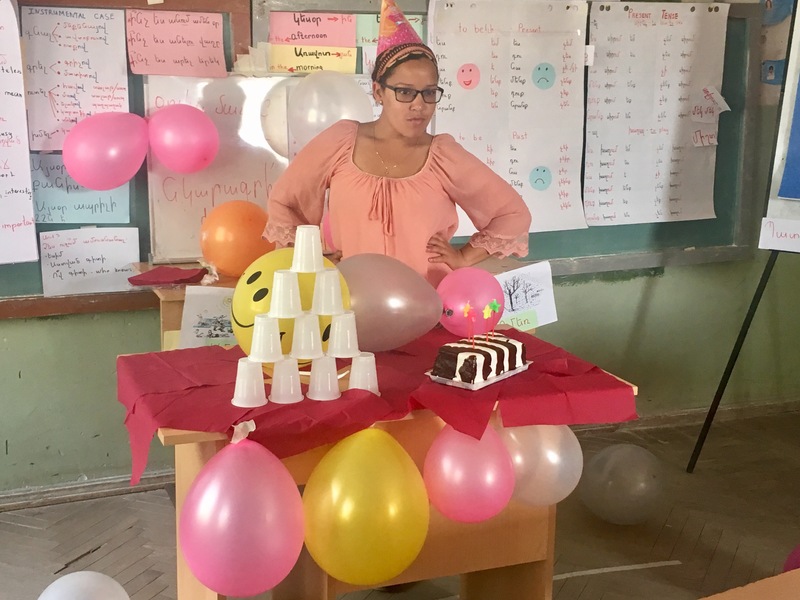 This entry was posted in Advertising, Armenia, Candy, Food, Grand Candy, Marketing, shopping, Social niceties, travel, Village life. Bookmark the permalink.